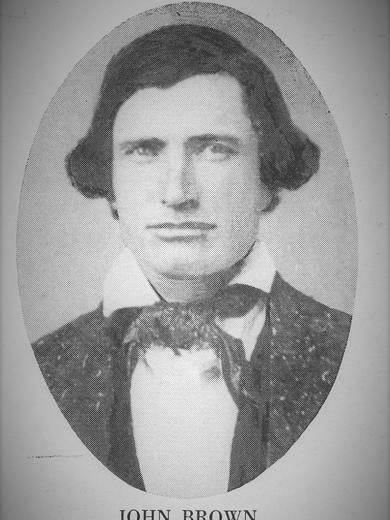 Andrew Jenson, Latter-day Saint Biographical Encyclopedia, 1:510. Nauvoo Restoration Inc., comp., Nauvoo Seventies list, vol. 1, A-F, 51, Church History Library. Temple Records Index Bureau, comp., Nauvoo Temple Endowment Register, 977.343/N1 K29c, p. 17, Family History Library. Historical Department journal history of the Church, 10 April 1843, p. 1. Historical Department journal history of the Church, 29 May 1843. Historical Department journal history of the Church, 31 December 1843, p. 1-7. Historical Department journal history of the Church, 10 February 1844. Historical Department journal history of the Church, 12 April 1844, p. 1. Historical Department journal history of the Church, 17 August 1844. Historical Department journal history of the Church, 2 March 1845, p. 2. Historical Department journal history of the Church, 14 January 1846, p. 2. Historical Department journal history of the Church, 28 August 1852, p. 6. Historical Department journal history of the Church, 29 June 1845, p. 2. General Epistles Biographical Collection, Church History Library, Salt Lake City, UT. Missionary Department missionary registers, 1860-1959, Vol. 2, p. 2, line 49. Missionary Department missionary registers, 1860-1959, Vol. 1, p. 9, line 349. Missionary Department missionary registers, 1860-1959, Vol. 1, p. 2, line 49. Missionary Department missionary registers, 1860-1959, Vol. 2, p. 9, line 349. John Brown autobiographical sketch, Autobiographical sketch, undated, MS 11325, Folder 1, Church History Library. John Brown autobiographical sketch, Typescript of autobiographical sketch, undated, MS 11325, Folder 2, Church History Library.